Warm up your mixes, FREE Curve 2 CM synth, DJ Assault VIP Series samples and MORE! • Turn up the heat and bring those flat, digital mixes in from the cold! Follow our huge tutorial guide to learn how to get a warm, smooth sound in software. 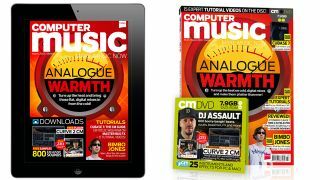 • Curve 2 CM - Awesome soft synth plugin for PC and Mac from Cableguys, and it's yours free with CM this month! • VIP Series: DJ Assault - 800 booty-bangin' beats, vocals, basslines, FX and more! • Bimbo Jones Producer Masterclass - In-studio remixing masterclass with Marc JB of the UK remix kings!